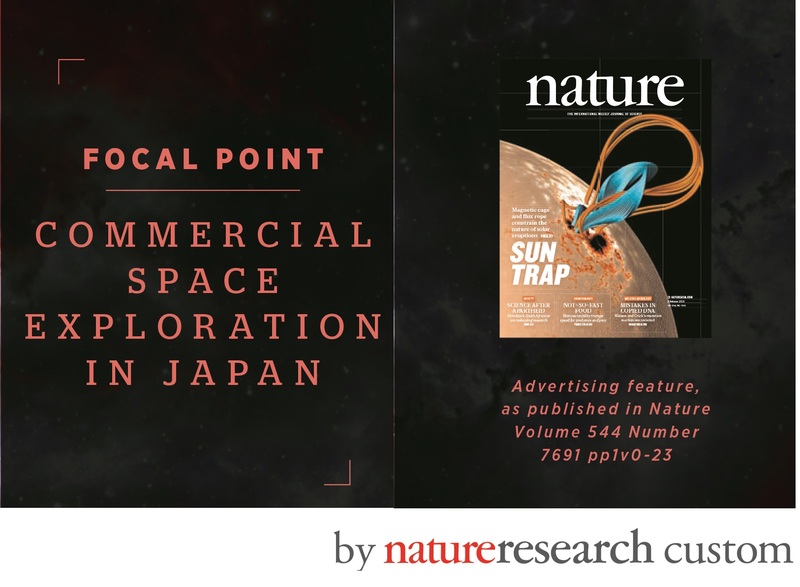 Published in the current issue of Nature, a new Focal Point on Commercial Space Exploration in Japan. The space industry is undergoing a profound shift from being exclusively sponsored by governments to increasingly seeing participation by commercial entities. Dubbed ‘new space’, Japan is keen to embrace this movement. This Focal Point contains specific examples of companies that are seeing opportunities in space, including Obayashi's space elevator, new drug discovery with PeptiDream and Taguchi's lightweight construction machines for the Moon.